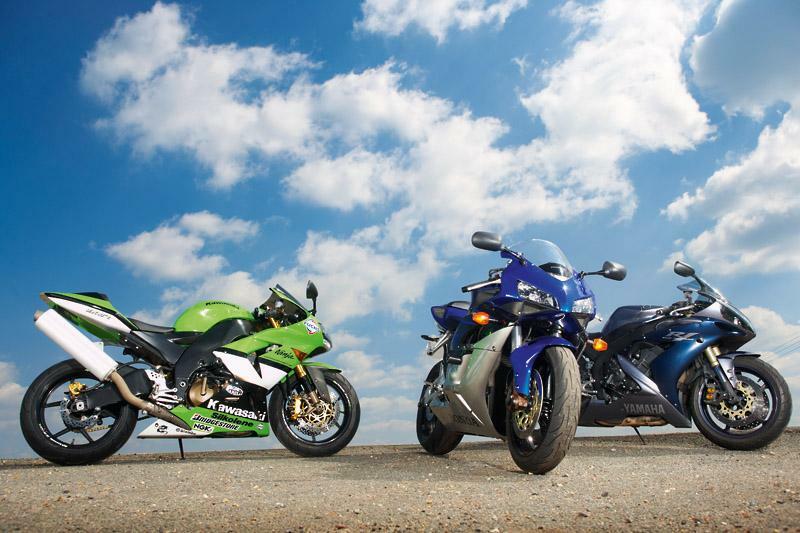 With new litre sportsbikes costing upwards of £10,000 the used market is booming. But at £5k are these bikes half the performance as well as half the price? At the moment secondhand dealers are crying out for stock and decent used sportsbikes are the most sought after commodity. The astronomical cost of buying a brand new sportsbike, not to mention the fear of being locked into a potentially tricky finance package when jobs are less than secure, has seen riders pouring through the doors of used dealers. And who can blame them when you see what’s on offer? Setting ourselves a target of £5000 for a used litre sportsbike we scanned the adverts in various dealers all over the UK as well as the web-based trading sites to see what was on offer. It soon became apparent that you can easily pick up a 2004 or 2005 model bike well within our budget and if you’re prepared to buy private you could even return with a couple of quid in your back pocket. As with any secondhand buy; the mileage, condition and even colour affect the price, but the choice out there is impressive. Honda’s first generation CBR1000RR Fireblade was first on our list. With a MotoGP-derived chassis and a brand new 1000cc engine this model of Blade showed that after a few lacklustre years Honda was taking the litre class seriously again. Although a 2004 model bike could be had cheaper than this 2005 version, the horrible paint scheme on the older bike swayed our choice. Next up is Kawasaki’s frothing ZX-10R. The original model is easily the most outrageous of the ZX-10R range. Oddly enough the grey/silver paint scheme on the ZX-10R turns a lot of riders off, meaning they can be had cheaper than the green ones, but this Kawasaki racing replica caught our eye as it was neatly done and different without being too outrageous. And finally, Yamaha’s classy 2004 R1. This model of R1 announced that the Japanese had finally mastered the art of creating a beautifully styled bike and unlike the Kawasaki the silver paint scheme only accentuates the Yamaha’s stunning lines. Yet the R1’s beauty isn’t just skin deep, below the fairing lies a monster motor. When launched it claimed to have the highest power to weight ratio of any bike.